Thomas Hart Benton moved to St. Louis in 1815 and became one of the city’s leading citizens. 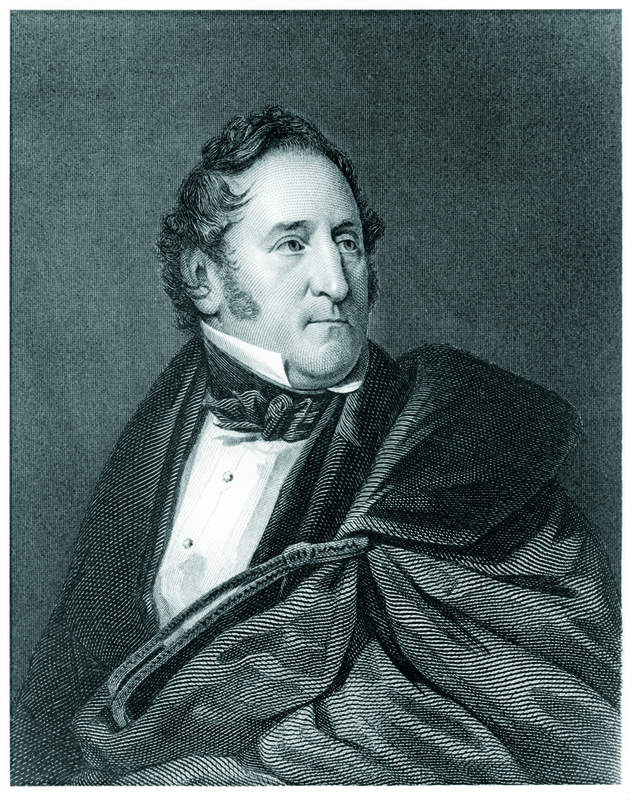 Elected one of Missouri’s first two senators, Benton served five consecutive terms from 1821 to 1851 and figured prominently in the era’s national debates. A staunch advocate for Manifest Destiny, he authored the original Homestead Acts to aid westward expansion. He bitterly opposed the Bank of the United States, and his call for the use of hard money earned him the nickname “Old Bullion.” Originally a slaveholder, Benton eventually declared himself against slavery, which cost him his Senate seat and effectively ended his political career in Missouri. Upon his death, Thomas Hart Benton was buried in Bellefontaine Cemetery after a funeral procession attended by an estimated 40,000 St. Louisans.